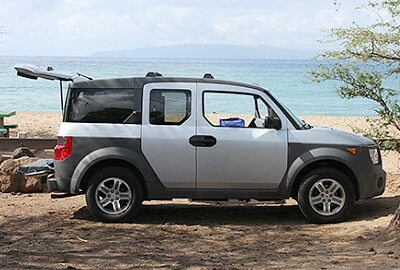 A new-comer to our fleet is the Honda Element. Designed with explorers in mind, the Element is in a class of its own. Able to climb to the top of Haleakala or cruise the coastline with ease. 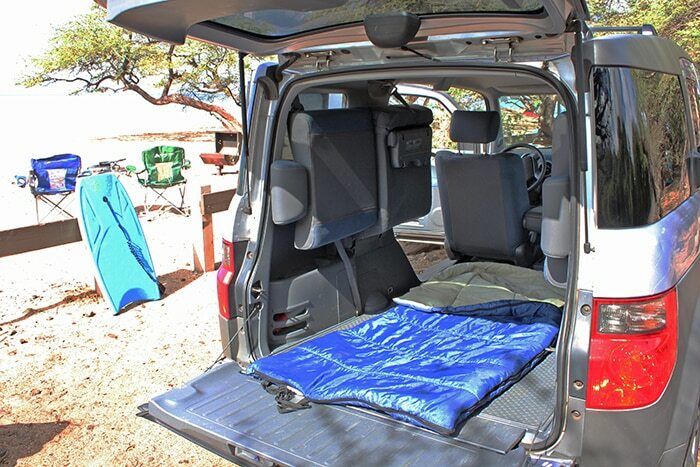 It sports a large cab with comfortable air conditioning, it’s a great alternative to a standard rental car and a perfect option for a camping couple that likes to travel light. 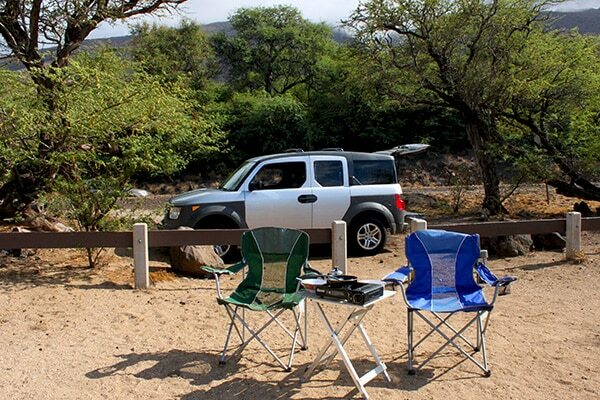 We know Maui and have equipped this vehicle to have everything you need to have a memorable camping vacation. Save money and time by leaving your gear at home and using this perfect camping option. Camping linen kit (2 pillows, 2 towels, blanket, sheets) available at an additional one-time fee of $25. NEW FEATURES: All vehicles now have an AM/FM stereo complete with a CD player and auxiliary jack, bluetooth, and/or a usb charger, so you can listen to your own tunes while you tour beautiful Maui!